Khadem was quoted by a sports newspaper as saying she believed she was accused of violating Iran's compulsory dress code by boxing in a vest and shorts. Iranian officials have not commented, but the head of Iran's boxing federation denied that Khadem would be arrested if she came home. "Ms Khadem is not a member of [Iran's] organised athletes for boxing, and from the boxing federation's perspective all her activities are personal," Hossein Soori was quoted as saying by an Iranian news agency. 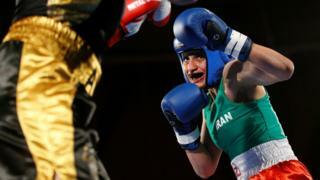 Khadem fought in a green vest and red shorts with a white waistband - the colours of Iran's national flag - in Saturday's bout in the western French town of Royan. Khadem had been expecting a hero's welcome when she returned to Iran. But while she travelled to Paris's Charles de Gaulle airport with her trainer Mahyar Monshipour - an Iranian-born former World Boxing Association champion who also serves as an adviser to the French sports minister - she said they were told that warrants had been issued for their arrest. "I was fighting in a legally approved match, in France. But as I was wearing shorts and a T-shirt, which is completely normal in the eyes of the entire world, I confounded the rules of my country," she told the L'Equipe newspaper. 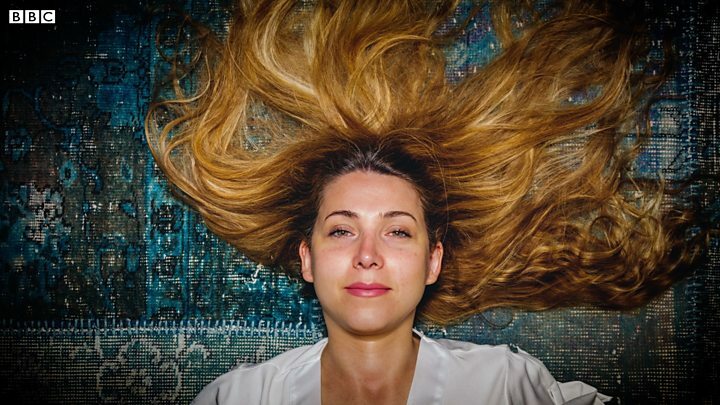 "I wasn't wearing a hijab, I was coached by a man - some people take a dim view of this." Until recently, Khadem would not have been permitted to take part in an official boxing match wearing a hijab or a full body form fitting uniform for religious regions. But the International Boxing Association (AIBA), amateur boxing's governing body, changed its uniform rules at the end of February.